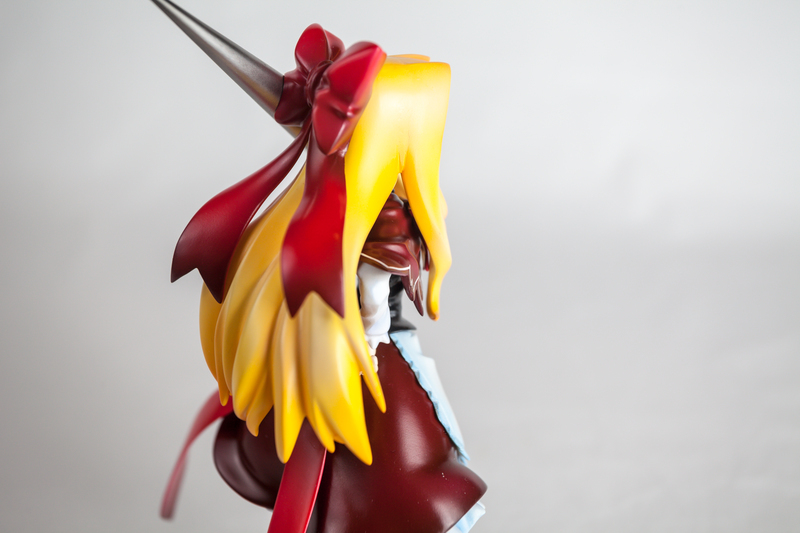 Hourai concludes the last batch of kits I managed to finish this year. 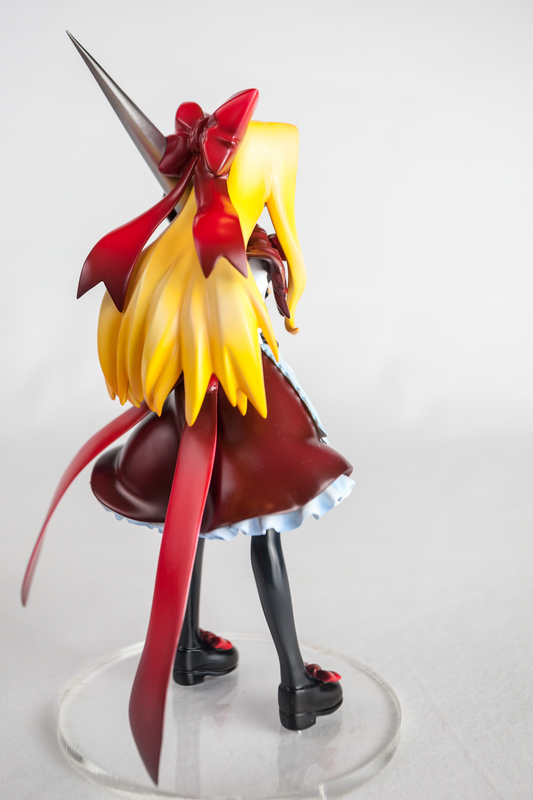 All the prep work was done last year (except for Haruka, I think) so despite my lack of time for the hobby, I got something done, hurray! 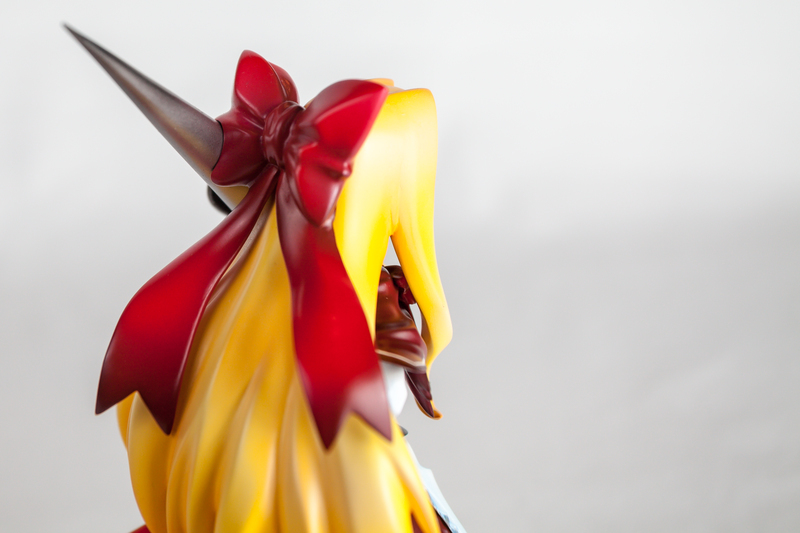 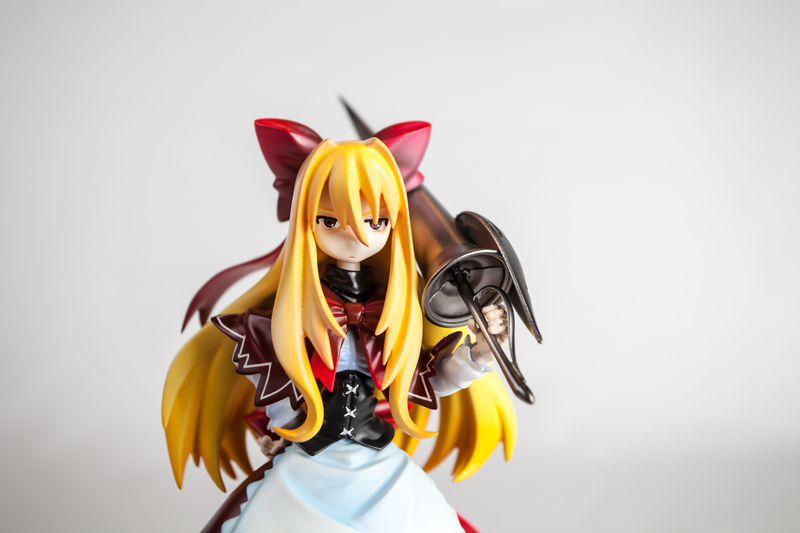 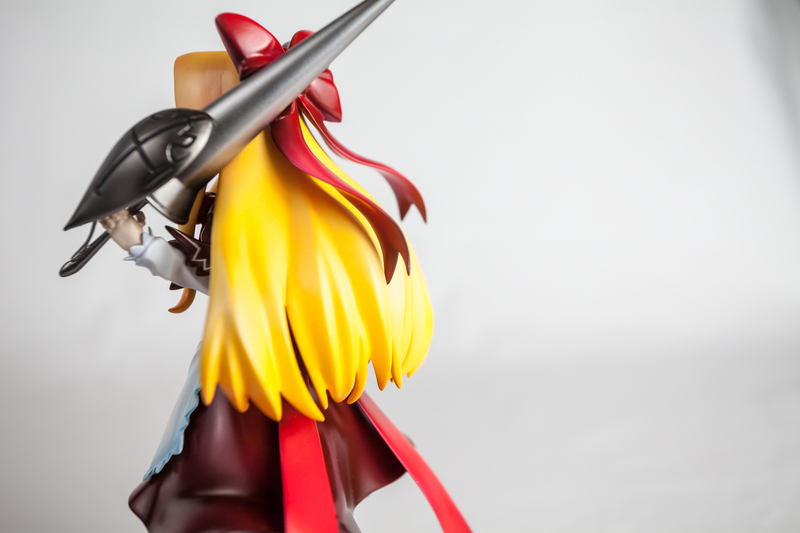 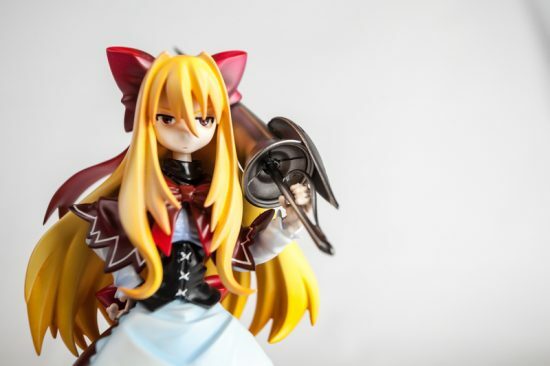 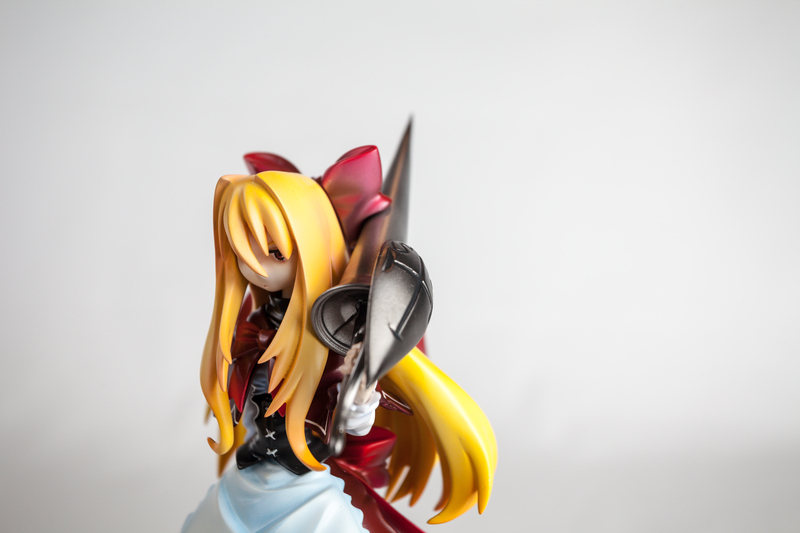 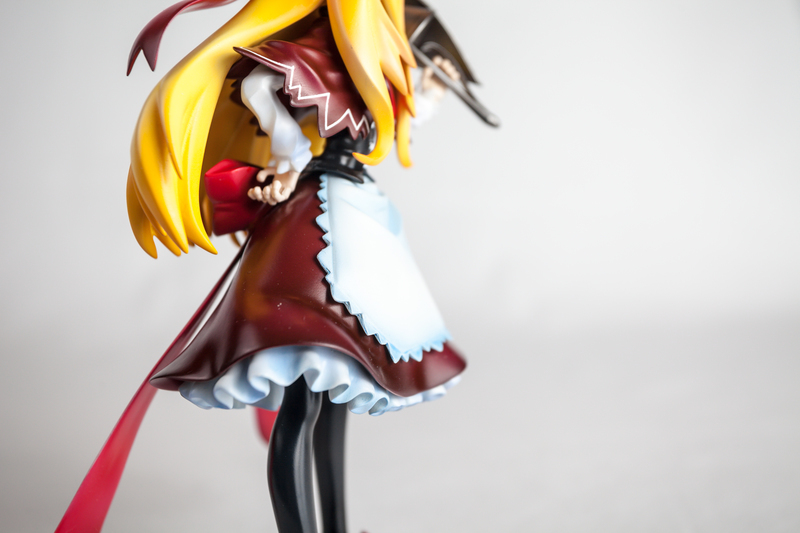 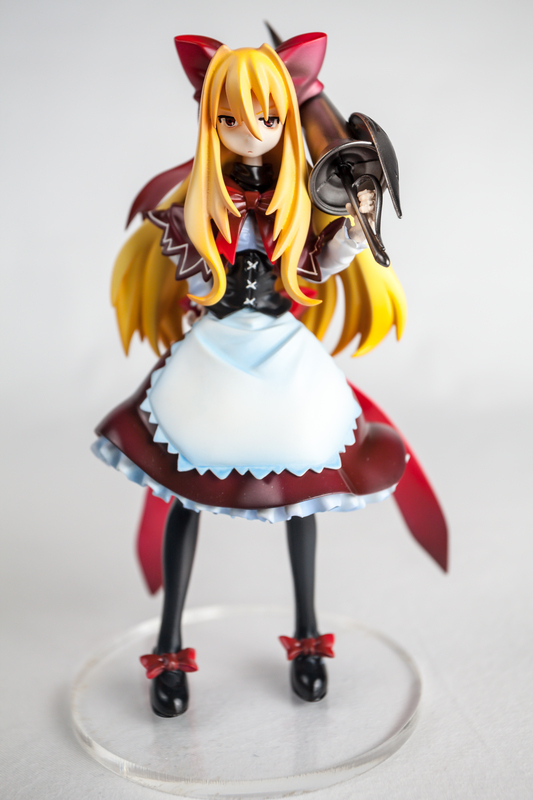 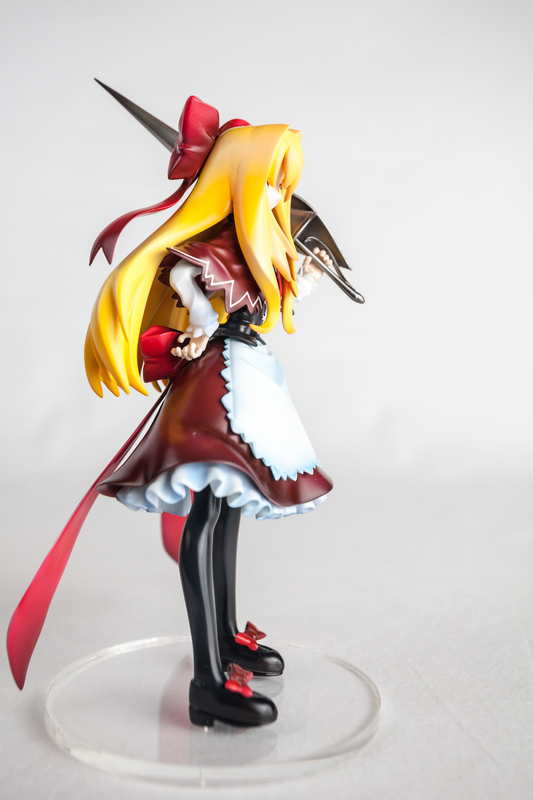 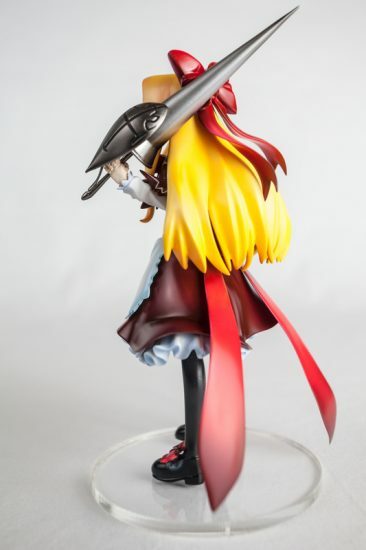 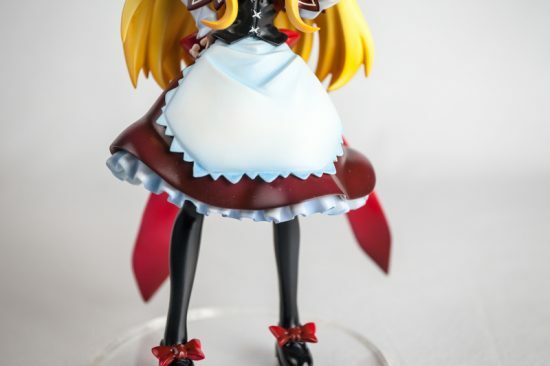 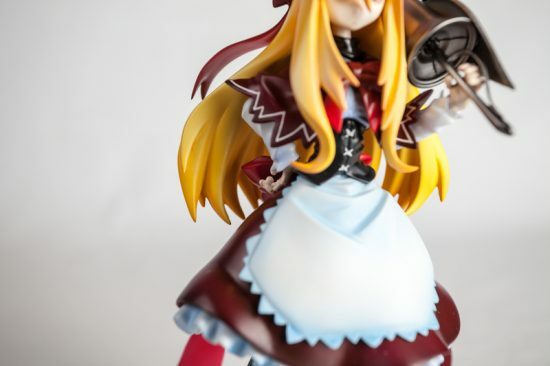 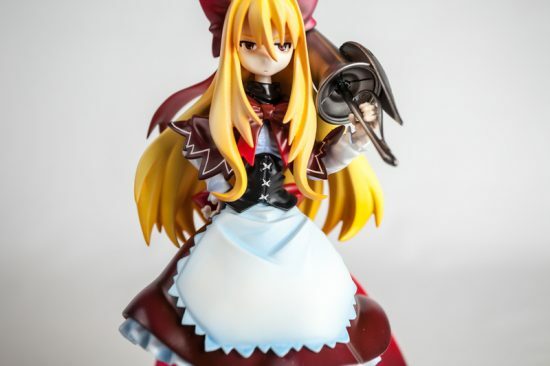 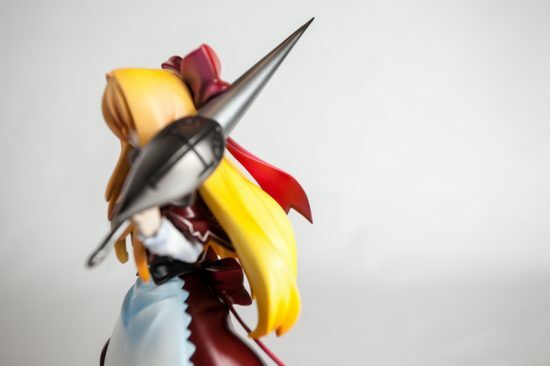 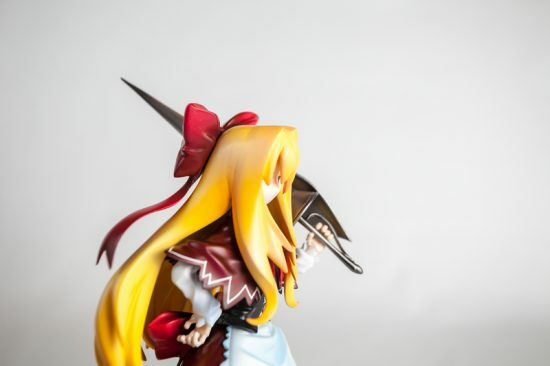 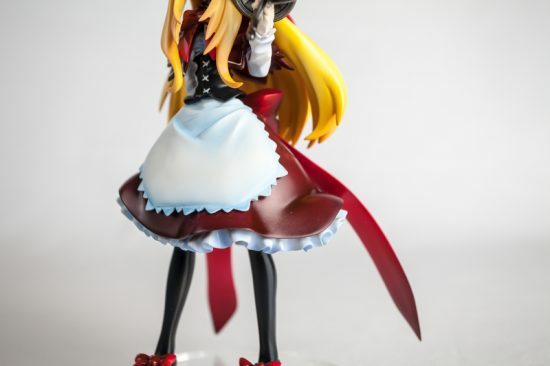 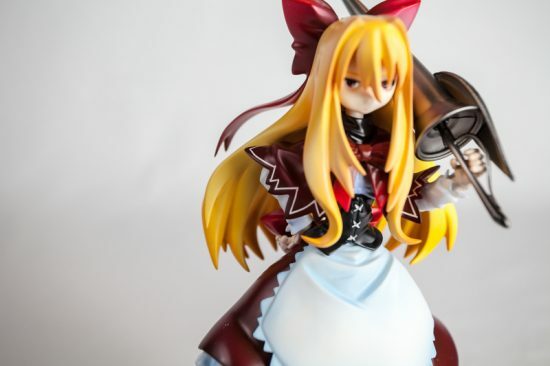 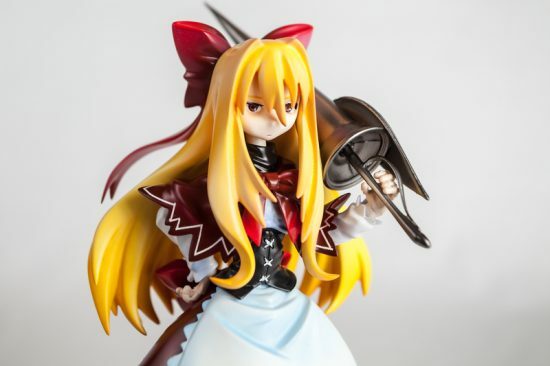 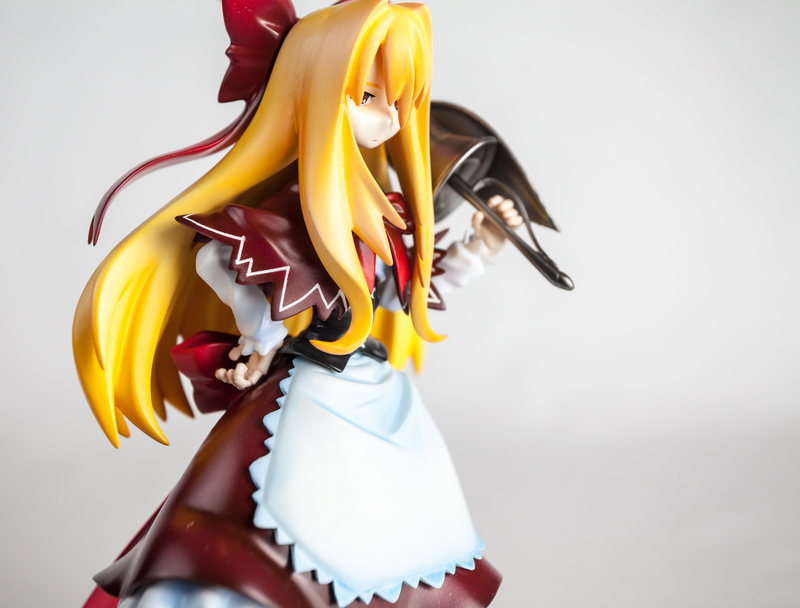 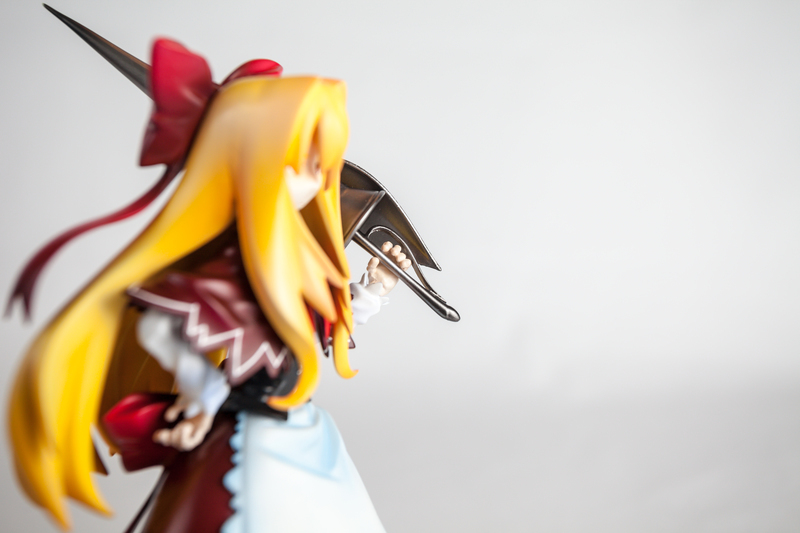 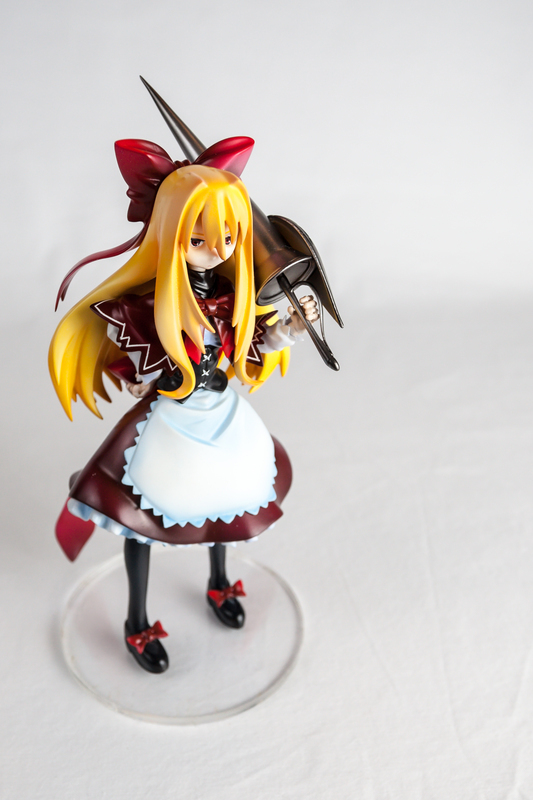 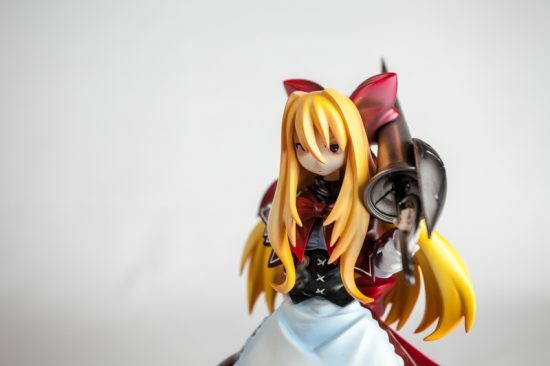 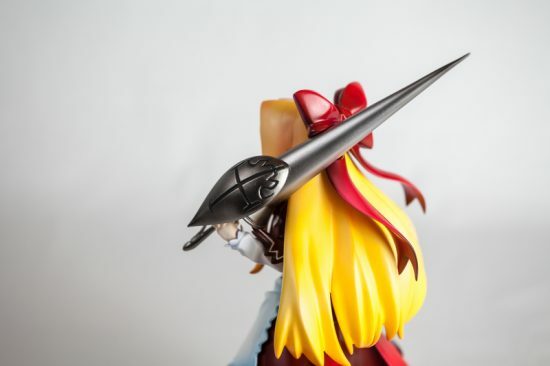 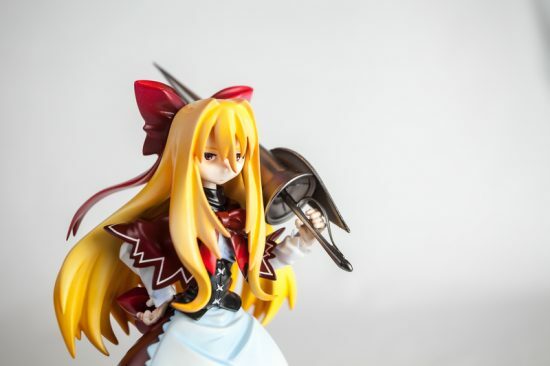 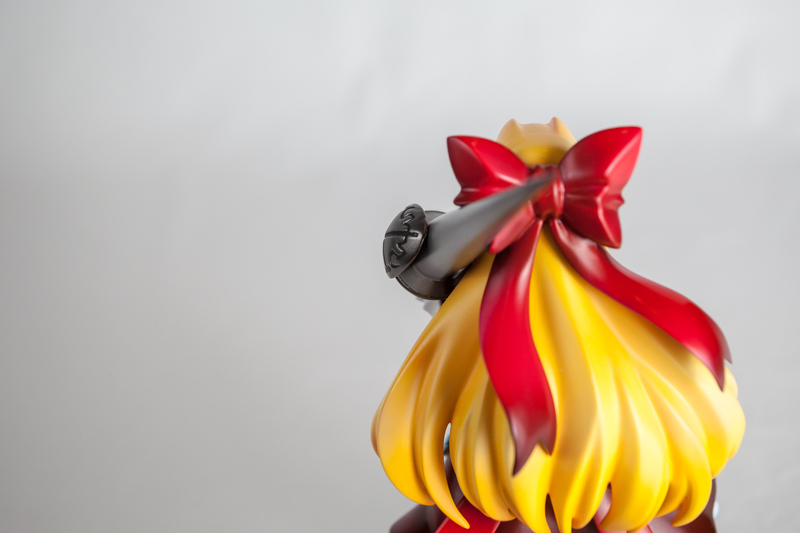 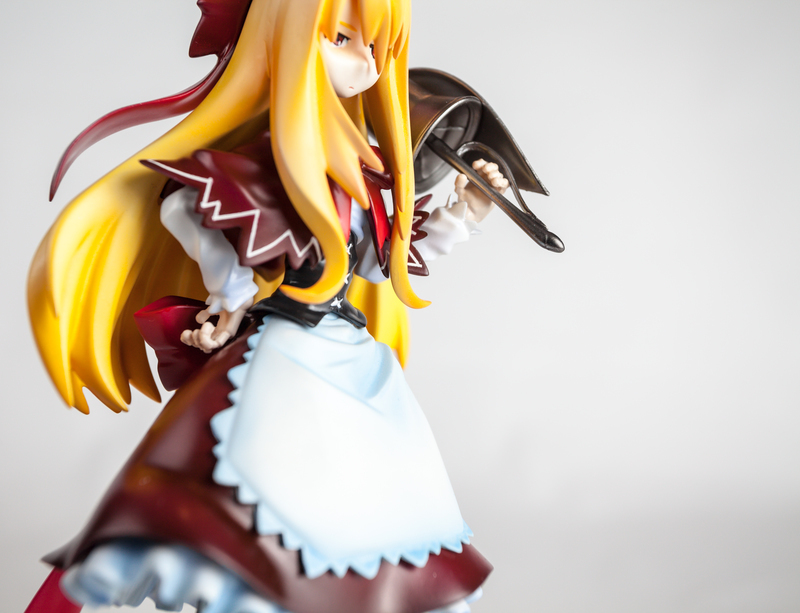 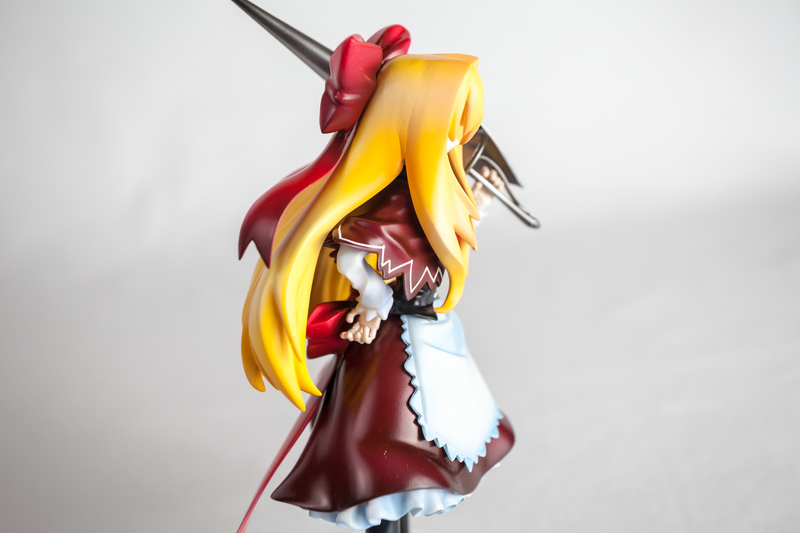 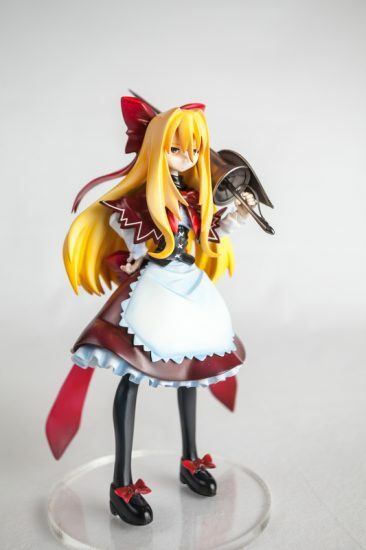 For those of you who are not that familiar with Touhou lore, Hourai is one of Alice’s dolls. I say that because she only has very subtle signs that she’s a doll in this figure. 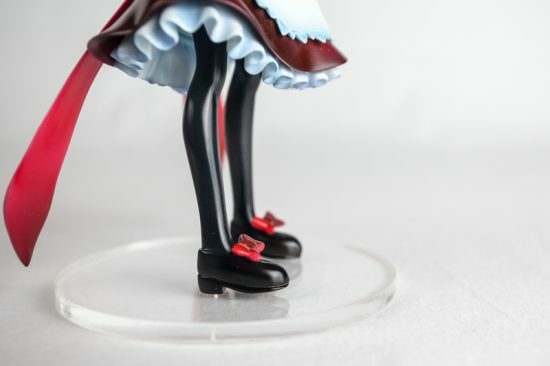 Her small hands show doll joints at the fingers but that’s about it. 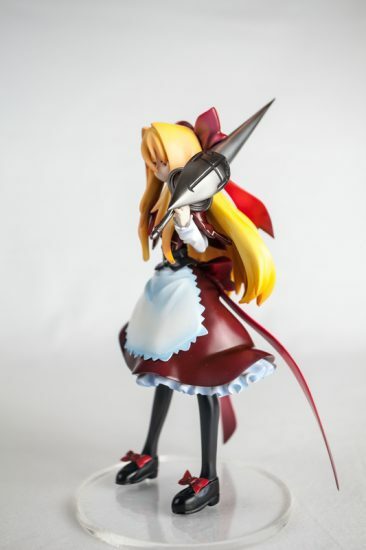 Speaking of hands, I first lost one of her hands and then “found” it again in pieces because I apparently stepped on it without noticing. 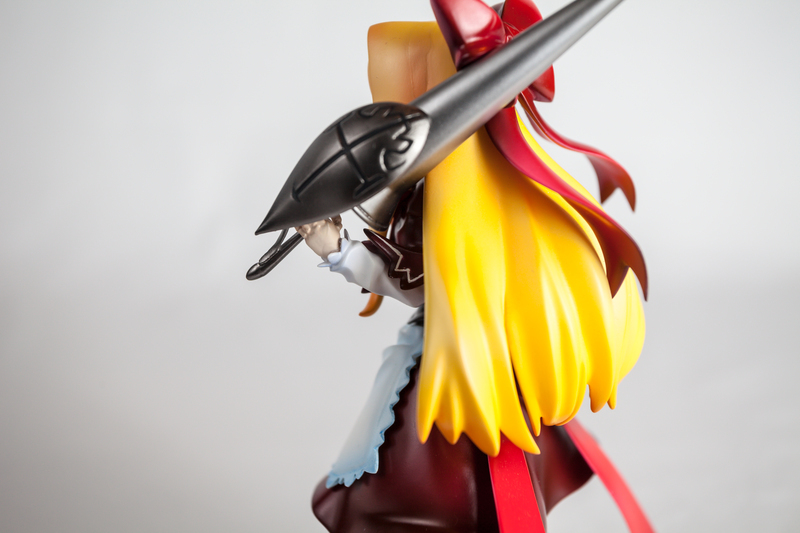 I clumsily glued the pieces together and had to model part of it from scratch. 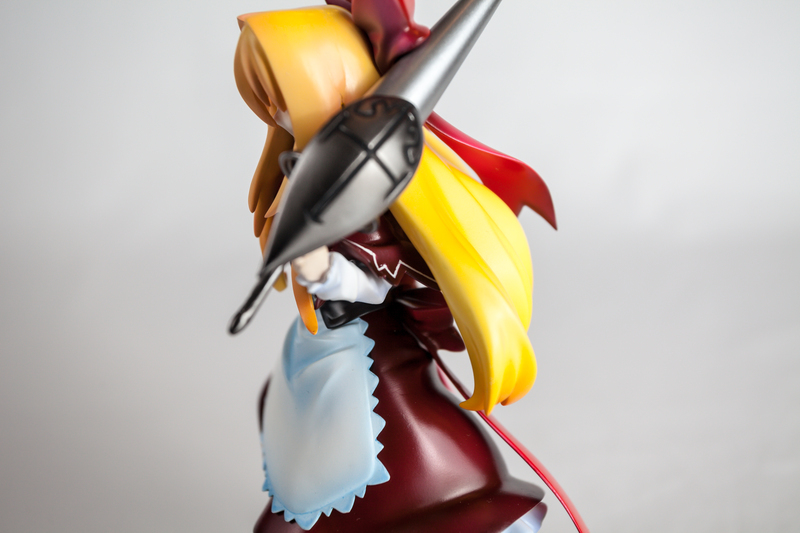 Taking care of small parts is not my forte… but I now try to always put small parts into bags so they don’t get lost. 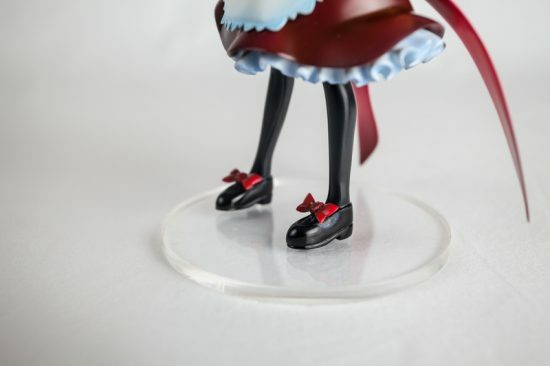 If it wasn’t for her massive hair, she would be able to stand on her feet alone. Since she’s technically a doll, I have no idea what her scale is. 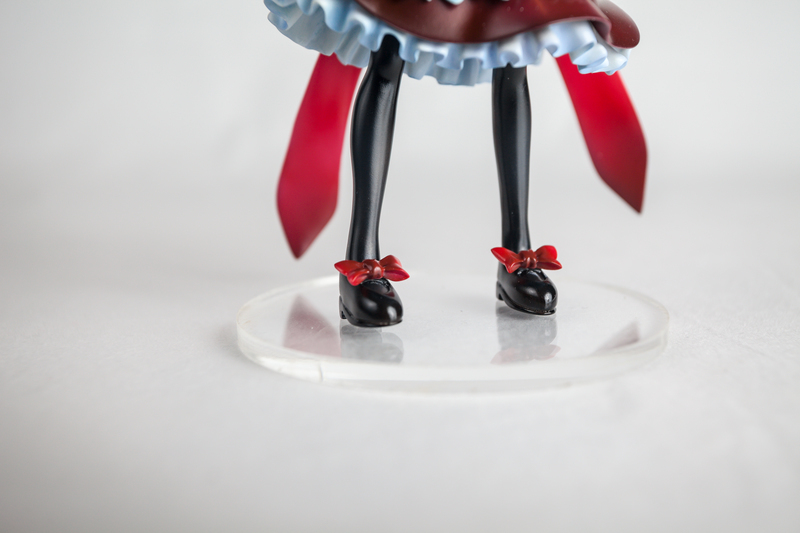 Maybe 1/3? I don’t have her with me right now but she stands about 12cm tall, I believe. Which means she’s pretty small. I enjoyed painting her a lot! 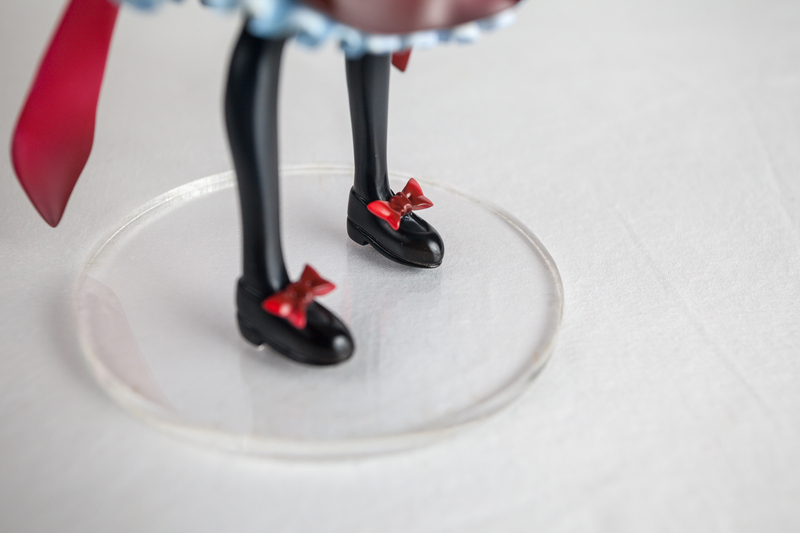 Sorry to bother. 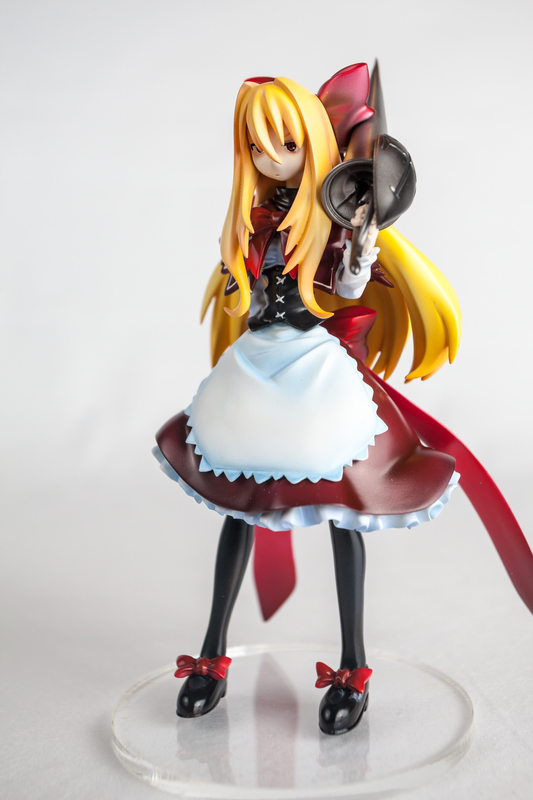 I know the time may have come and gone already, but I\’ve been looking for this figure for a fair while. 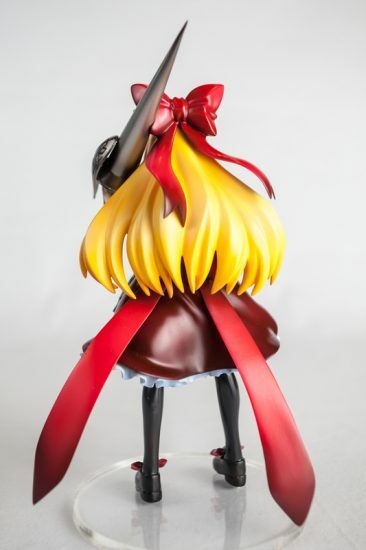 Would you know of any place that sells it now, or anyone who would like to sell it? 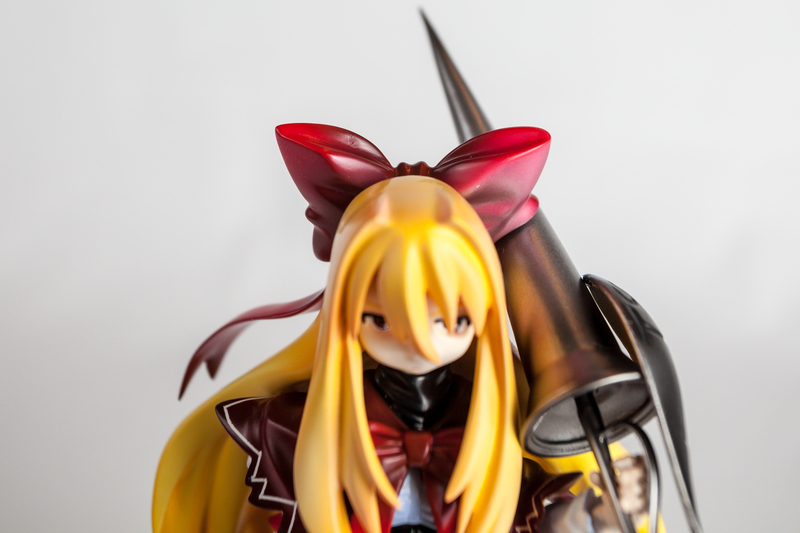 Or even yours if you aren\’t too attached haha.